As we go through the offseason, I thought it would be useful to look at the position groups on the Rams and see exactly what the team has and where improvements could be made. The second installment in this Rams Offseason Recon series is the running back position. I'd love to hear everyone's thoughts on what I've provided and what you'd like to see the team do as we go forward with this and other position groups as those threads are made! Roster Analysis: Oh boy, where to start here? What once looked like the strongest offensive unit of the team primarily due to Gurley’s dominance now has a big question mark going forward. Gurley led the league in touchdowns, and finished among the top five in yards from scrimmage, all-purpose yards, and touches. But the workload apparently took its toll on Gurley; he sat out the final two games of the regular season, and was used sparingly (to put it mildly) through the playoffs. In fact, after Week 8 of the season, Gurley ran the ball more than twenty times only once, against Detroit. The signing and emergence of C.J. Anderson – who does not appear on the backups list above as he is currently not under contract – helped the Rams monitor and restrict Gurley’s usage as to not wear him out, but it’s clear this was a season of two halves for #30. With that in mind, where does that put him going forward? This is the last thing the Rams wanted for a number of reasons. Obviously, no one wants the centerpiece of their offense to suddenly look vulnerable, and concern for Gurley’s health are legitimate when it comes to his playing career and life after football. But from a team standpoint, the Rams just signed Gurley last summer to a near $60 million deal. If Gurley can’t regain his form, that’s a lot of money the Rams will be on the hook for over the next couple of years. Even assuming Gurley does regain his mojo, having a backup runner behind him capable of sharing some of the load and keeping Todd fresh long term will be vital, as Anderson proved late into the season. The Rams have some young players they seem to like in Brown, Kelly, and Davis, but none of them were called up to the plate when Todd was injured, as the Rams instead turned to the free agent market late in the season to find Anderson. It makes you wonder exactly what the Rams feel they have with their trio of young runners. At this point, I’m not sure any of them should be viewed as irreplaceable on this roster, though ideally you’d like to see at least one of them emerge into a capable backup who could step in when needed. Free Agent Options: The obvious free agent option is C.J. Anderson, whom the Rams did not resign prior to the start of free agency and hasn’t really received much attention on the market. According to NFL Network's Ian Rapoport back in early February, the Rams really wanted Anderson back this season. So what’s the hold up? Maybe the Rams want to see what their options are in the draft before bringing C.J. back, in case they’re able to get a young runner with less tread on the tires. Or maybe C.J. is waiting for an offer from a team with a bigger role before coming back to the Rams. It’s hard to say at this point, but the Rams should definitely have Anderson’s phone number on speed dial after he posted three games of 100+ yards in a row for the team, each averaging over five yards per carry in the process. His production late into the post-season wasn’t as impressive, but he definitely carved out a role that you’d think the Rams would want to fill. If they opt to go with a free agent back besides Anderson, there are some names out there to consider. At 33 years old, Marshawn Lynch is still managing to get it done on the field, averaging 4.26 yards per carry since returning in 2017, though injuries have been an issue and it’s unclear if he still intends to play football. Former Dolphins and Eagles running back Jay Ajayi might be the most talented option still available, but has had his own injury concerns and is coming off of a torn ACL. One name to keep an eye on if the Rams want a younger veteran who can grind out some situational yards is Isaiah Crowell. He turned 26 years old in January and has averaged over four yards per carry in four of his five seasons with the Browns and Jets. Draft Options: Head coach Sean McVay has said he wants to add explosive players this offseason, so perhaps a young, dynamic ‘back will catch his eye in the draft this year. In this year’s class, it doesn’t get more explosive than Oklahoma State runner Justice Hill, at least when it came to testing. He wowed at the combine with top showings in the forty yard dash, vertical jump, and broad jump. He doesn’t have the size of an Anderson, but is more along the lines of John Kelly’s listing. Scouts will have to go back and see why Hill’s numbers didn’t always translate to bigger plays on the field, but he’s worthy of consideration near the end of Day Two. That being said, with what the Rams have on the roster both in Gurley and existing backups, it’s hard to see them spending anything more than a Day Three pick at this position, if they draft someone at all. There are some Day Three options that intrigue me, though. Nebraska’s Devine Ozigbo has nice size for the position and displays the kind of traits you look for in a capable downhill runner. Temple’s Ryquell Armstead is another downhill runner who can find room inside while bowling his way through tackles. Someone like Travis Homer of Miami could come in as an undrafted free agent and earn a spot, especially given his ability to help in pass protection. The Rams never would have signed CJ Anderson if Malcolm Brown had not gotten hurt and Brown would have done very well. Said another way, the decision to bring in anderson had nothing at all to do with a lack of confidence in brown, brown was out for the year at the time anderson was signed. No disrespect, but the statement above that Brown was "not called up to the plate" when Todd was injured is not accurate. It is accurate as it pertains to Kelly and Davis, neither of whom has shown any capability of pass blocking at the nfl level. Thus, it sure would be GREAT to have, if feasible, TG / CJ / and MB in the Rams RB squad. Yep. I definitely hope Gurley's problems get figured out, as we are obviously nowhere near as good of a team without him. Also Brown will probably be back since he's a RFA that few are probably interested in, and should be 100% since his injury was relatively minor. Such bad timing too as it would have been great to see what he could have done with the workload CJ got. It will good to retain CJ as a backup, but unless he gets back in game shape, no way he lasts even close to a full season if he was needed to be the #1 guy. This has to be about the toughest decision the Rams have to make this off-season. Without knowing how Gurley's knee will respond to game conditions, the Rams have to decide how to proceed for their RB's. As there is little margin for error given the cap situation, the Rams must decide if they need CJ Anderson as their bona fide #2. On top of this they have to assume that Malcolm Brown is fully healed and can deliver the same performance as prior to his injury. Pass protection is a very critical matter going into 2019. The questions above make this a difficult issue about which to get comfortable. Finally the Rams will have to decide if they will need a change-of-pace RB, which is where Justin Davis could become a factor. No easy answers in my mind. Without a reliable running game our play-action tactic becomes ineffective and that will be horrific for Jared Goff. My apologies, GC. I forgot this detail while writing the post. ps. Little need to fear that Brown won't come back & be fully ready to go. He injured his clavicle and had to have it reset. The injury was never spelled out specifically, but all signs point to it being a dislocation. Painful to be sure, but nothing of note 'soft tissue' wise that will hamper him much. He'll probably have lots to do therapy wise to make sure the joint doesn't slip again, and build his shoulder strength back up, but its doubtful to set him back in his arm strength or range of motion. Brown signed the offer sheet from the Lions. Some additional info - Rams will get no compensation if they decide not to match the restricted free agent tender. Terms of the tender are not yet available. According to Breer, it's only $3.25 M for 2 years with a $100K signing bonus and $1 million guaranteed. And per DaSilva, that's an annual salary less than the $2.025 M the Rams were going to give him with the tender. So all in all, if you think Brown is a better downhill runner than CJ, then you match the offer and be done with the back-up speculation. If not, you better go back and get CJ, who more than proved his worth - just a question of how much for the year, since they probably picked him up for nickels on the dollar in the year-end clearance sale. As the aftertaste of the NFL draft still lingers on the tips of everyone's tongue even after rookie camps and team OTAs, the St. Louis Rams selection of Georgia Bulldogs running back Todd Gurley with the 10th overall pick remains a mistake. Value, injury history and a lack of a supporting cast in St. Louis made Gurley the wrong decision for the Rams based on where they are in their building process. Gurley's overall talent can't (and won't) be denied. The 6'1", 221-pound running back owns a rare combination of explosion and power. During his three seasons in Georgia, Gurley averaged 7.38 yards every time he touched the football. He also added at least one play of 75 yards or longer in each of the campaigns. Due to this blend of physical running ability and consistent threat of hitting a home run each time he touched the ball, Gurley was often compared to Adrian Peterson or at least named the best running back prospect since AD left Oklahoma to join the NFL ranks in 2007. King even revealed that the Rams rated Gurley as the best overall player in this year's draft class. The running back was a difference-maker in Athens, Georgia, and the Rams expect the same from him in an offense that struggled under head coach Jeff Fisher's supervision—the unit hasn't finished better than 23rd in total offense during his three-year tenure. Usually, an argument against selecting any running back in the first round—even one as talented as Gurley—starts with a nod toward positional value. In today's NFL, workhorse backs are essentially a thing of the past with only two runners—DeMarco Murray and LeSean McCoy—accepting more than 300 carries last season. And the investment needed to obtain a quality running back rarely requires a first-round pick, let alone a top-10 overall selection. Last season, none of the league's top-10 rushers was the first running back selected in his particular draft class. Only one of them, Marshawn Lynch, was even a former first-round pick. Positional value be damned, one can easily argue a legit top talent supersedes dogmatic views of today's league. Usually, that particular argument would be correct. But there is an instance where overall value as it pertains to an entire draft class can be even more important than simply collecting talent. This year's draft class was the deepest in running back talent than it has been in years. It's likely that numerous starters will emerge from multiple rounds. WHEN CORTRELLE JAVON Anderson begins to run, when he has his short and fat (his words, not mine) body headed toward the line of scrimmage, you'd be forgiven if you were momentarily alarmed by the idea that he intends to disappear. His shoulders hunch, his torso appears to retract, and his Doric thighs look like they're going to sink into the turf. He's listed at 5-foot-8 (maybe) and 225 pounds (please), so he's low to the ground to start, especially compared with everybody around him. With a football in his hands, he practically tunnels. If it ever becomes possible, and legal, to take a subterranean route down the field, bet on him being the first. There is very little in the way of decoration. Football guys describe runners like C.J. Anderson by saying they know how to use the field. He is wide. He is short. He is strong. He has remarkable balance and great vision and employs just enough subtle deception to leave linebackers tackling air. If he can't fool them, he is perfectly content to go directly through them. It is brutal art. We don't get surprised much anymore. When we do, the surprises are usually delivered by the people we expect to surprise us. Tom Brady and Drew Breesdefying every known actuarial chart is an ongoing, low-grade surprise. Aaron Donald playing defensive tackle like a turbocharged Jeep retains its capacity to surprise. Patrick Mahomes seems to surprise everyone but himself. But this kind of surprise, The Anderson Surprise, in which a man emerges from nowhere in the most ridiculous and delightful way to become a recurring star in a late-season drama, is rare enough to qualify as preposterous. His employment record over the past 10 months looks like this: released by the Broncos after five seasons, more than 3,000 yards, a Pro Bowl and two Super Bowls; signed and released by the Panthers after nine games and 24 carries; signed and released by the Raiders after five days, and no games, in Week 15. "Every team I was with had a circumstance for why they felt like they had to get rid of me," he says. "Every one was understandable, and I understand this is a business first. If you look at the circumstances, it makes perfect sense. It would've been easy for me to get down on myself, but I didn't because it wasn't a talent issue." Rams facing this painful question: Are Todd Gurley’s best years behind him? INDIANAPOLIS​ — There is finally​ some​ clarity​ on the condition​ of Todd Gurley’s​ left knee,​ and the​ news over the​ weekend painted​​ a gloomy picture for the Rams’ star running back. On Friday, John Breech of CBS Sports reported that the Rams might consider stem cell treatment for Gurley’s knee, which was surgically repaired in 2014 after an ACL tear during his junior year at Georgia. On Saturday, Jeff Howe of The Athletic reported that recent tests have revealed Gurley is dealing with arthritis in the knee. Both revelations cast doubt on the future of Gurley, who signed a four-year contract extension worth $60 million last summer that takes him through the 2023 season and guarantees him $45 million. With head coach Sean McVay talking about putting a plan in place to manage Gurley’s workload and general manager Les Snead pondering the potential need to add another running back alongside him, a dreaded question the Rams and their fans never wanted to contemplate is now absolutely valid. Are Gurley’s best years behind him? If that is indeed the case, it creates an ominous situation for Gurley based on multiple doctors consulted, including Dr. Jesse Morse of Florida Orthopedic Specialists. Publicly and privately, the Rams are not indicating anything more beyond the recent comments by McVay and Snead that Gurley was dealing with “wear and tear” issues late in the season. McVay said this week at the NFL Scouting Combine that surgery is not planned for Gurley. According to the doctors consulted by The Athletic, Gurley clearly has a condition that requires management rather than an injury that needs surgery. As far as stem cell treatment — which some doctors insist is a radical and not-yet-proven treatment that should be approached cautiously — Rams sources said no such course of action has been discussed within the organization. Few would argue with the notion that former Georgia running back Todd Gurley was born with some special abilities. Afterall, being blazing fast at 6-foot-1, 228 pounds is something only a relative few can claim in the entire world. 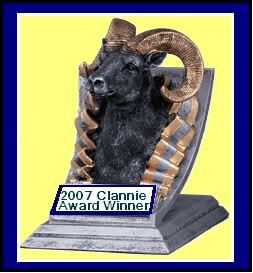 But the budding Los Angeles Rams super star is also known as a relentless worker. That has shown in his second offseason as a professional player. The reigning NFL Offensive Rookie of the Year has dropped close to 15 pounds this winter and spring and according to his head coach, Jeff Fisher, it's because he's going the extra mile. Gurley missed the first two games of the 2015 season before getting his feet wet in week three against Pittsburgh. The next week's game against Arizona would be his coming out party. The North Carolina native had 19 carries for 146 yards, beginning a streak of four-straight 100-yard games. He would finish the season with five total while also amassing 1,106 yards and 10 touchdowns on 229 carries. He also caught 21 passes for 188 yards. All of that in 13 games. Bleacher Report: Is Gurley Already NFL's Best Back? At very few positions and in very few sports can a player become the best at his craft only weeks into his professional tenure. But if you're a truly special NFL running back, you often have an opportunity to make a pretty large statement in the infancy of your career. The last time that happened in a truly unforgettable way, Adrian Peterson rushed for 1,341 yards as a rookie with the 2007 Minnesota Vikings, averaging a league-high 5.6 yards per carry (among backs with three starts) and scoring 13 total touchdowns in 14 games. Despite starting only five of his first eight games that season, Peterson had a league-high 1,036 rushing yards at midseason, with a 268-yard edge on the NFL's second leading rusher, Willie Parker. He went over the 100-yard mark five times and the 200-yard mark twice during that stretch. And the 224 yards he put up in his third career start would have been the high watermark for the '07 season if not for the NFL-record—it still stands, by the way—296 yards he rushed for in his fifth career start. Eight years later, St. Louis Rams rookie running back Todd Gurley is starting to feel like this decade's version of Peterson. Gurley is only the fourth back since Peterson to be drafted in the top 10. Darren McFadden (2008), C.J. Spiller (2010) and Trent Richardson (2012) weren't able to come close to replicating what Peterson did early, or beyond early, for that matter. But Gurley might break the trend. Despite the fact he's less than a year removed from tearing his ACL (sound familiar? 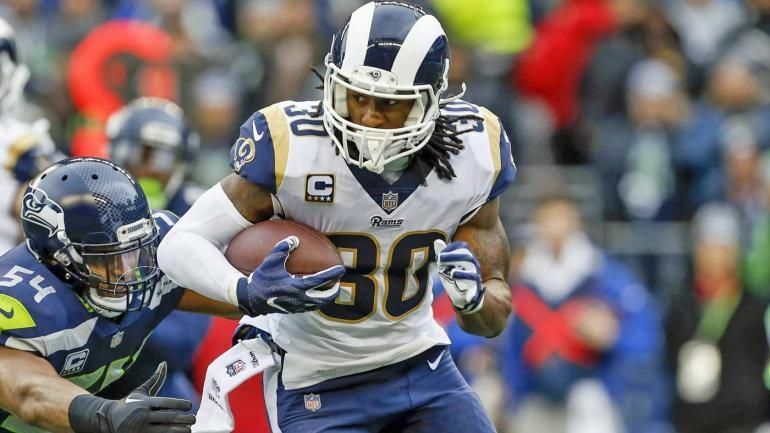 ), Gurley has rushed for an NFL-record 566 yards in his first four NFL starts, hitting the 125-yard mark in all four games and scoring three touchdowns in the process. As a result, Gurley leads the league with a 6.1 yards-per-attempt average and ranks fifth in rushing yards despite the fact he's missed almost three full games and has been on the field for only 41 percent of his team's offensive snaps. See how lopsided that is? It's actually closer than it should be, because Gurley's yards-per-game average is skewed a fair bit by a nine-yard performance in Week 3 in which he had only six carries on 14 snaps. Remove that outing from the equation and he's averaging 141.5 yards per game. In '07, we were witnessing Peterson become the league's best back in a heartbeat, taking the proverbial crown from LaDainian Tomlinson. Now, Gurley is doing the same thing to the 30-year-old Peterson. Considering Peterson ran for an NFL-record 296 yards in his fifth start, it won't be easy for Gurley to keep pace in Week 9. But Peterson then suffered a knee injury and ran for 100 yards just once the remainder of the year. Even still, he was widely considered the best back in football in 2008, so Gurley is already solidifying a similar reputation. The man has already broken off 50-plus-yard runs on three occasions.